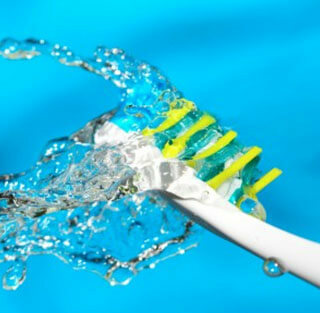 The cornerstone of lifelong dental health rests in proper hygiene habits. Daily brushing and flossing is your most powerful tool at-home, but there’s only so much your toothbrush can accomplish. To safeguard the health and vitality of your teeth, regular dental check-ups and cleanings are necessary. Smile Gallery Dental Clinic offers over 40 years of combined experience dealing with minor issues and major teeth complications. As a member of the Australian Dental Association, we offer a broad spectrum of dental services. Whether you need a standard cleaning or advanced treatments, turn to our clinic for all your dental care needs. While skipping a general check-up is tempting, what exactly are you risking by pushing back your appointment? The various processes within a general check-up aren’t strictly to clean your teeth. Actually, the primary purpose of this visit is to closely inspect the current and future health of your teeth. Without consistent monitoring, serious oral health complications can arise within a matter of months. Even with pristine hygiene habits, the risks of developing serious issues are never completely gone. Only through the close inspection by a professional dentist can these potential problems be caught, and treated, within an optimum timeframe. Oral Cancer Detection | Because oral cancer can manifest in a variety of ways, detecting its signs and symptoms isn’t always easy. Thankfully, if caught in its early stages, the likelihood of a positive outcome is great. During a check-up, your dentist reviews your entire mouth for curious abnormalities. Identifying Hidden Problems | While your teeth’s surface may appear healthy, it’s possible to have a serious problem lurking beneath the gums. X-rays help identify and diagnose problems within your teeth and jaw bones, such as impacted teeth or bone decay. Nearby Bodily System Review | Dentists check not only your mouth, but also the health of your neck, head and lymph nodes for abnormalities. Any kind of unknown abnormality can be a symptom of something more sinister. Catching such activity before it blossoms into a serious complication can mean all the difference in your prolonged health. The foundation of a healthy mouth is through effective preventative plans. As all dentists in Box Hill agree, regular dentist visits keeps your teeth looking beautiful while reducing the likelihood of developing serious complications. Undergoing a general check-up every three, six or 12 months can catch a potential issue, such as tooth decay, before it has a chance to cause a serious problem. Overall evaluation of the health of your gums and mouth tissue. Thorough cleaning of teeth below and above the gum, complete with polishing to reveal a brilliant smile. Inspection, and treatment, of various oral health issues, such as dry mouth and bad breath. Prevention treatments, such as applying an anti-decay solution, on vulnerable teeth. Capture detailed images of your teeth and surrounding areas via x-rays or a similar digital imaging device. Meticulous review of teeth to determine if there are any cavities or potential cavities. Create a personalised oral care program to prolong the health of teeth and prevent the onset of problematic issues. Serving Box Hill and surrounding communities, such as Surrey Hills and Blackburn, is an honour for our passionate staff of dental professionals. You aren’t only a patient, but you’re also our neighbour and friend. If you’re overdue for a dental check-up, or are looking for professional clinic to safeguard your oral health, call us at (03) 8595 2632 and schedule your appointment today!